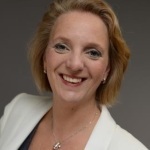 Nienke van Bezooijen is a Dutch Keynote speaker, International Master–Trainer and Coach for CEOs, entrepreneurs, teams and individuals. Nienke is an established TEDx Speaker Coach in the Netherlands. She is also member of the Public Speakers University in London. At the end of a big seminar, she unexpectedly had to sing along in front of 2500 people. It went well after all, and that moment is kept in her mind as “moment of success”. Nienke recommends to keep you own “moment of success” on your mind and tap into it when you need it, in order to prevent stage fright. She has made a research observing top CEOs, executives, bankers, politicians, and many other speakers. Only nearly 10% of them speak authenticly. Is there to serve to the audience. Speaks beyond her/his own ego (avoids phrases starting with “I …”). Masters also body language and voice. 70% is body language, 20% is voice, and 10% is content. After her experience learning from top class public speaking and voice coaches, and then coaching hundreds of speakers, she developed her own professional speaking system E.A.S.E. (Energy, Authenticity, Speaking skills, Engagement). Her mission is to provide the world with a voice. The book “The Speaker Success Solution” is expected to be released on April 2015. Breath in on 4 counts (seconds), deep down and not too fast. Breath in for a count of 4. Hold on the air for 7 seconds. Then breath out in 8 seconds. Repeat . Practise on a daily basis.